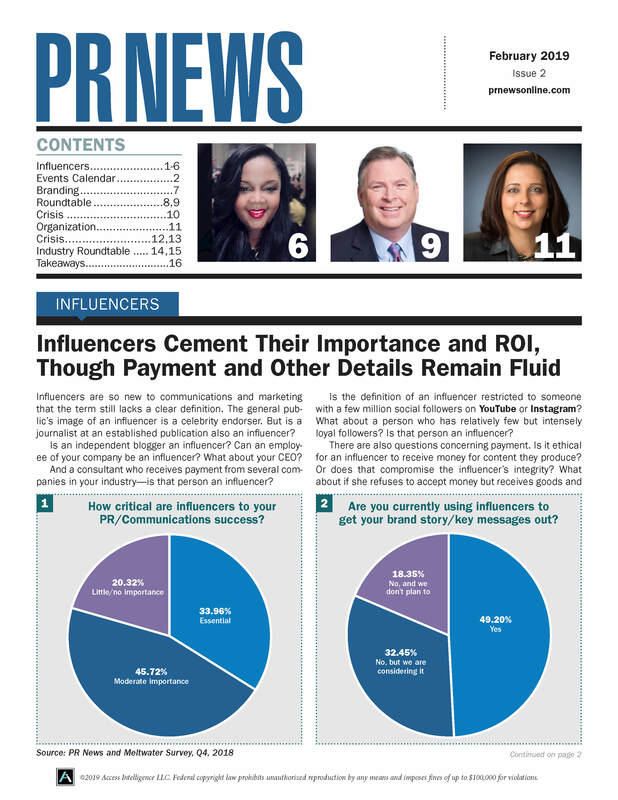 Each January in New York, PR News shines a spotlight on women who not only are best in class in PR and brand communications, they are leaders and team builders who continue to inspire the next generations of women to rise to the C-suite level at brands, nonprofit organizations and agencies. On Jan. 24, 2017, PR News once again celebrated the Top Women in PR at the Grand Hyatt in New York. The winners of Top Women in PR Awards span a wide variety of organizations, from Visit Norfolk, Peppercomm, Weber Shandwick, Aflac and Cisco, to Mars Petcare US, NYU Langone Medical Center, Fannie Mae, Havas PR Milan and Bank of America. At the Jan. 24 luncheon in New York, Top Women in PR honorees shared their thoughts on how to attain a true work/life balance, the principal qualities they look for in communications team members, leadership qualities they have long admired in others and what makes for a powerful mentor/mentee relationship. Attendees also heard a keynote presentation from Maya Nussbaum, founder and executive director of Girls Write Now, which mentors underserved young women to find their voices through the power of writing and community. Kathleen Henson Henson Consulting, Inc.
Durée Ross Durée & Company, Inc.
Meredith Topalanchik CooperKatz & Company, Inc.